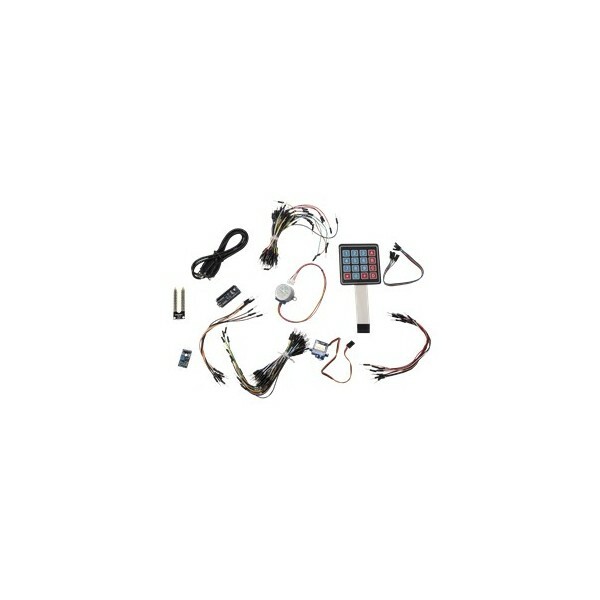 10 DuinoKit Essentials + Accessory Pack - Classroom Pack - DuinoKit - Educational Electronics Learning Kits. DuinoKit Essentials is a complete prototyping kit based upon the Arduino microprocessor technology. 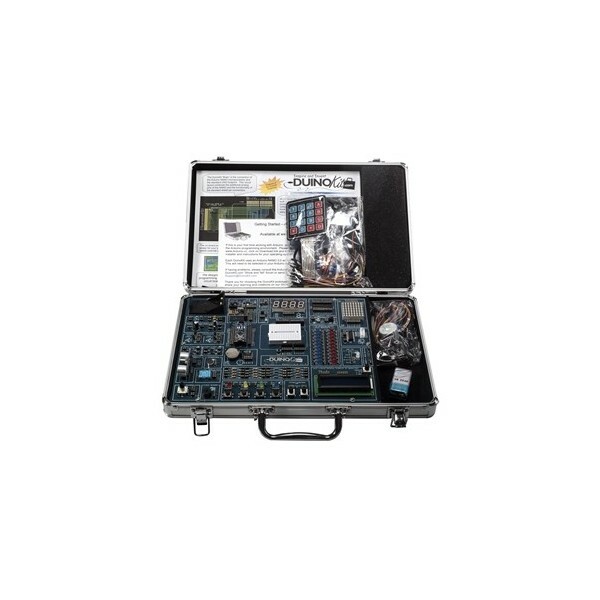 Kit includes all necessary wires, parts and components along with sample programs and building instructions on the DuinoKit "Show and Tell" forum to get you started. This package will include the Accessory pack of additional parts and wires. 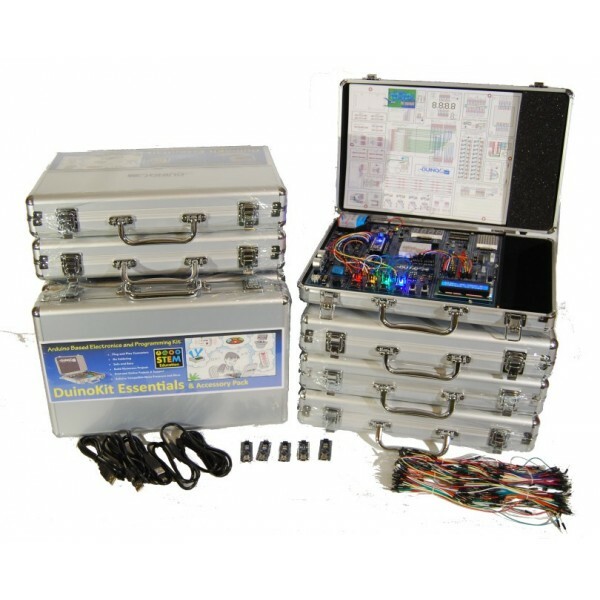 This kit was designed to make building projects fun and easy with no soldering to build electronic projects. Components are built into the printed circuit board for easy identification and "plug and play" connectors. 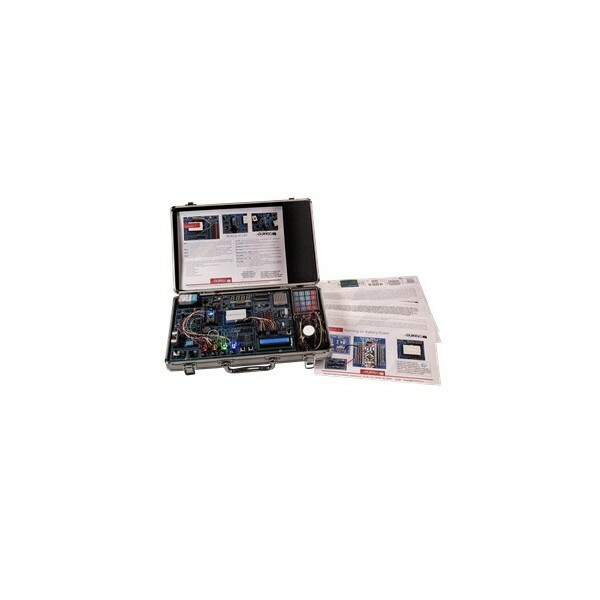 Kit includes documentation combined with components and wires to build unlimited projects and hours of fun and learning. Build a "Simon" game, Lie Detector, K.I.T.T. 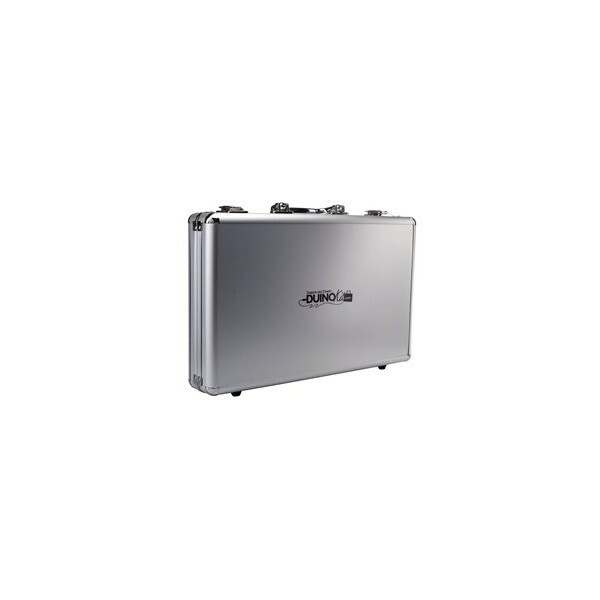 Car light bar, Alarm Clock or you own creation. Unlimited projects and variations are possible. 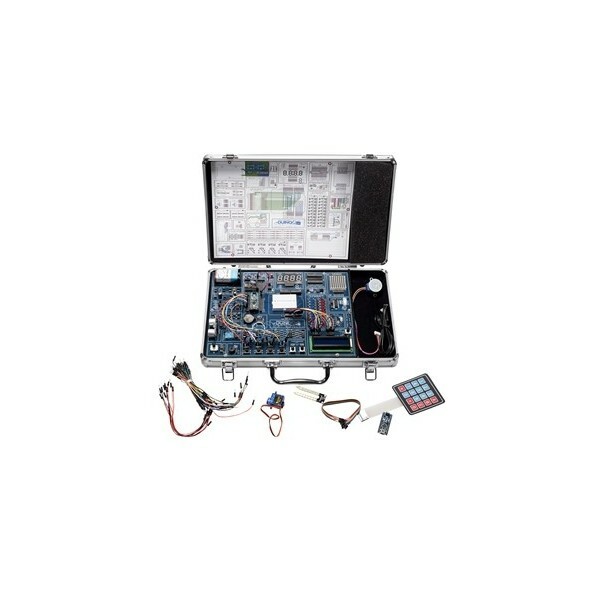 Kits includes wires, carry case, assembled printed circuit board and Nano microprocessor. With this Arduino based prototyping you will be able to learn the fundamentals of electronics and programming in an easy to use "plug and play" system that requires no soldering or previous electronics experience. 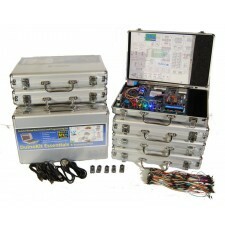 This kit was designed by a teacher to help teach electronics and programming in a fun to use and convenient kit.